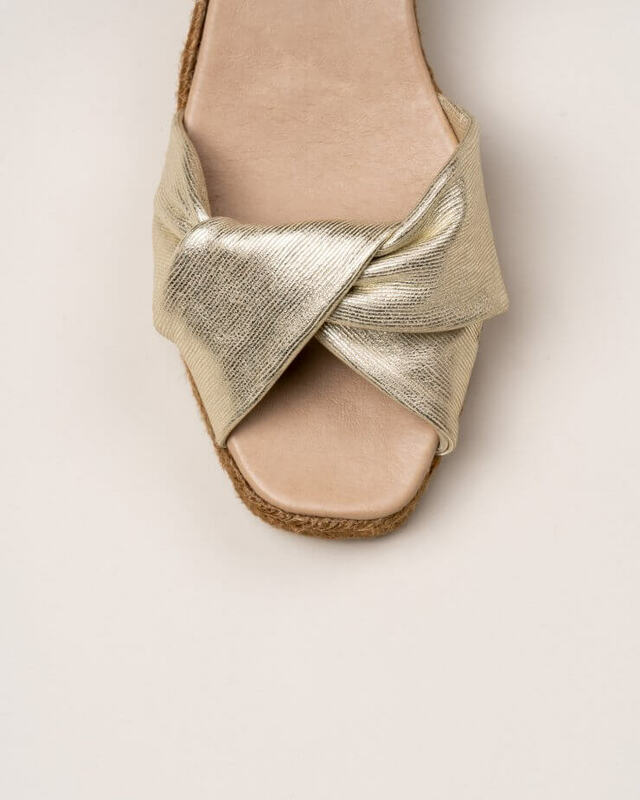 Gold leather espadrilles. 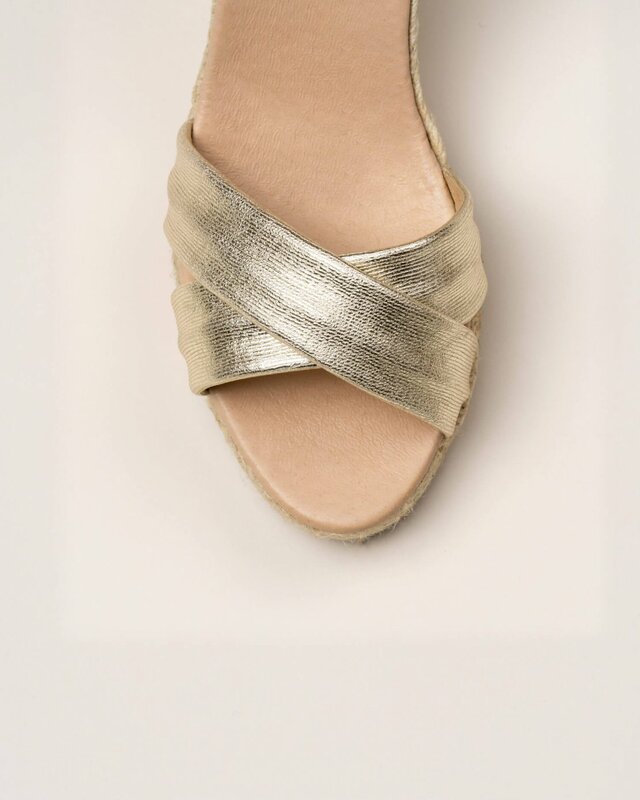 Sandals with wide cross over strap across the toe. Strap closure with lateral clasp. Medium jute wedge.